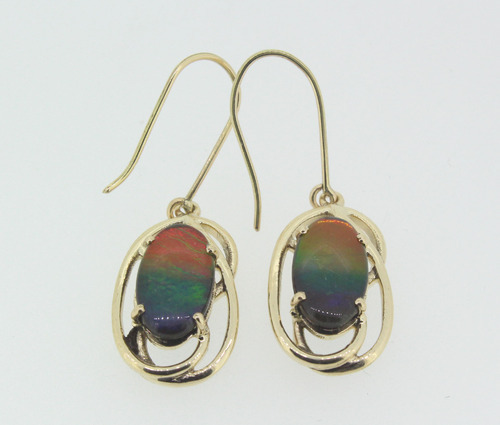 To maintain excellent quality standards, we are offering the Ammolite Dangling Earrings in 14K Gold. Our Designer Earrings are widely demanded amongst the clients. These earrings are designed by our professionals in various patterns and designs to meet the varied demand of our clients. Annual Turnover2012-13 Upto Rs. 50 Lakh. Artgem got incorporated as a Sole Proprietorship concern in the year 2013 and is doing a marvelous job in the field of manufacturing, supplying and exporting of world class jewellery items which are highly cherished by end customers in market.We offer huge variety of products which are acclaimed for their quality and elegant looks. The huge range encompasses various Gold and Silver products. Our professionals are excellent in offering these products which are intricately designed, attractive, eye catching, possess brilliant luster. The entire range is readily available in variety of designs, patterns and clients get a huge opportunity to choose from. The complete range is processed with premium quality raw material which is sourced from vendors known for their excellent reputation in market.